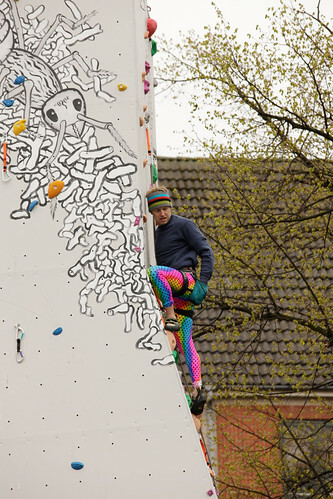 I participated in the Banana Park Open climbing competition on the 8th of May. The reason for the competition was that a new climbing has been built here. The wall is rather impressive and is 14 meters high, featuring overhangs and 3D structures that gives it a real rock feel. It was a good day, and I was quite happy with the result!